Buying a Kantha may not be too difficult a task, especially if you are from Bengal. But have you ever thought of making your own Kantha? 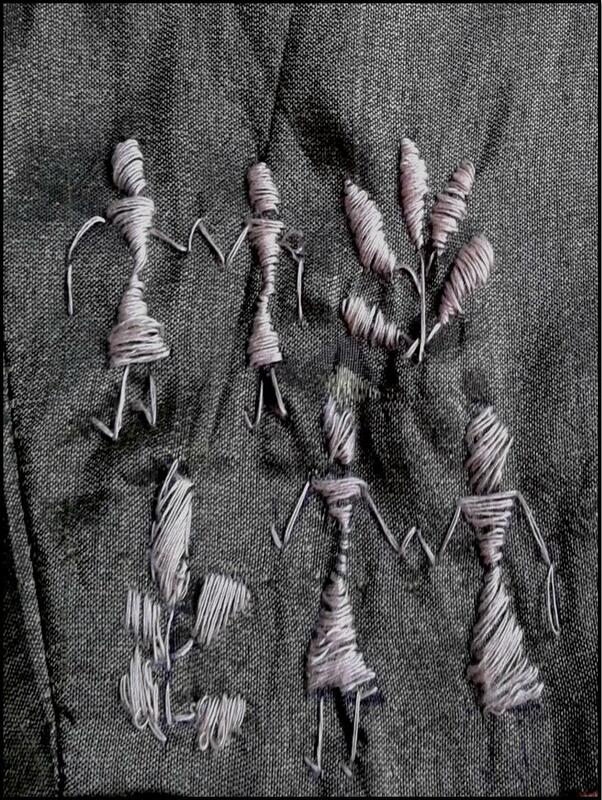 Trust me, it is the easiest form of embroidery ever. I am still in the learning phase and totally loving it. 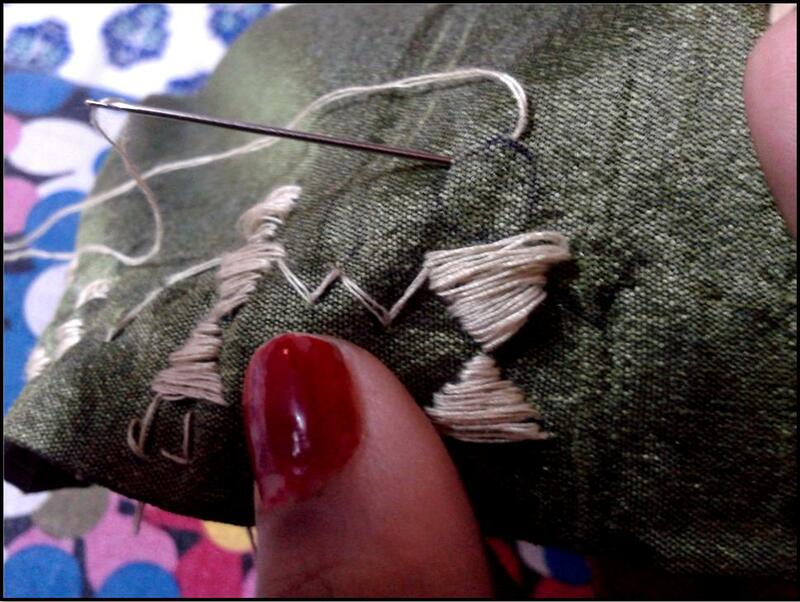 Here is a step by step guide to stitching your own Kantha. Step 1: Draw a motif on a piece of fabric. I was working with Dogra motifs. 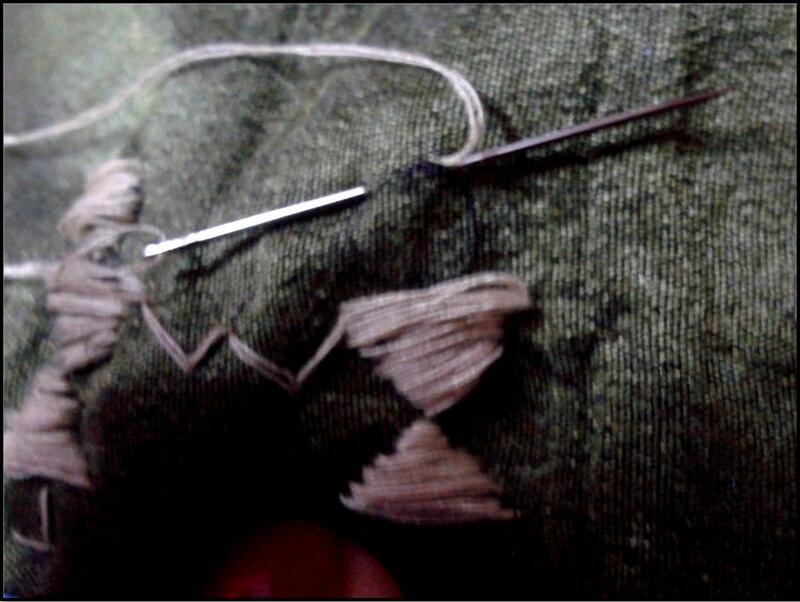 Step 2: Thread a needle. It is preferable if the needle is thin. Use a thread whose color contrasts with that of the fabric. 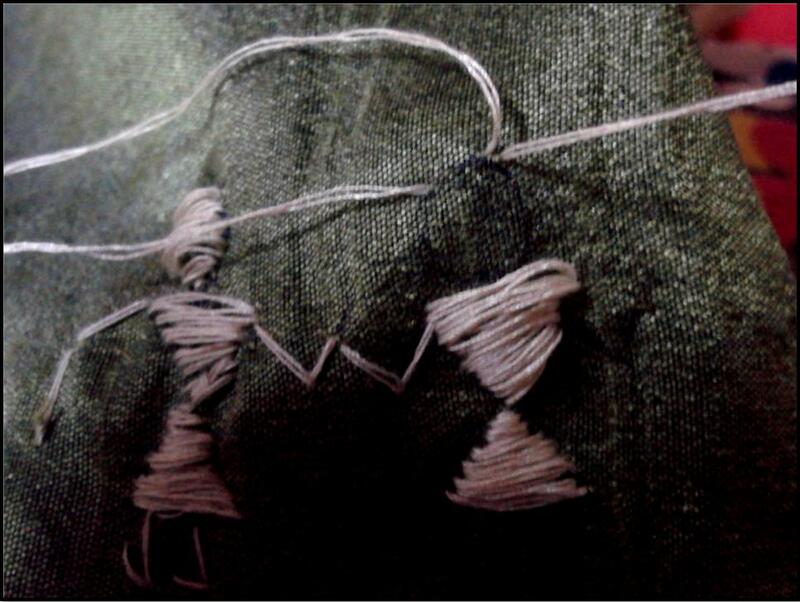 Step 3: From the back side of the fabric, insert the needle, such that it pierces through the mark of the motif. Step 4: Pull the needle out insert it horizontally again, such that the line fills up the design. 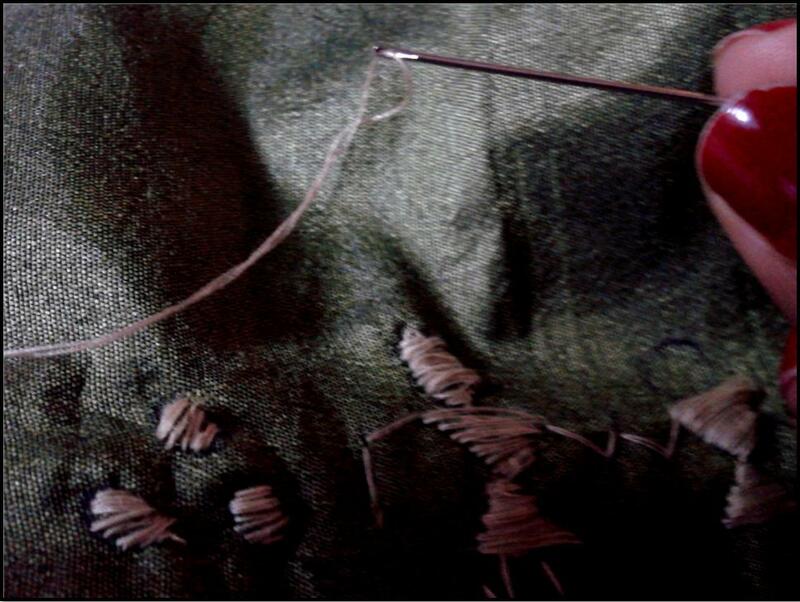 Step 5: Without pulling the needle completely, insert it again like Step 2, very close to the former thread. 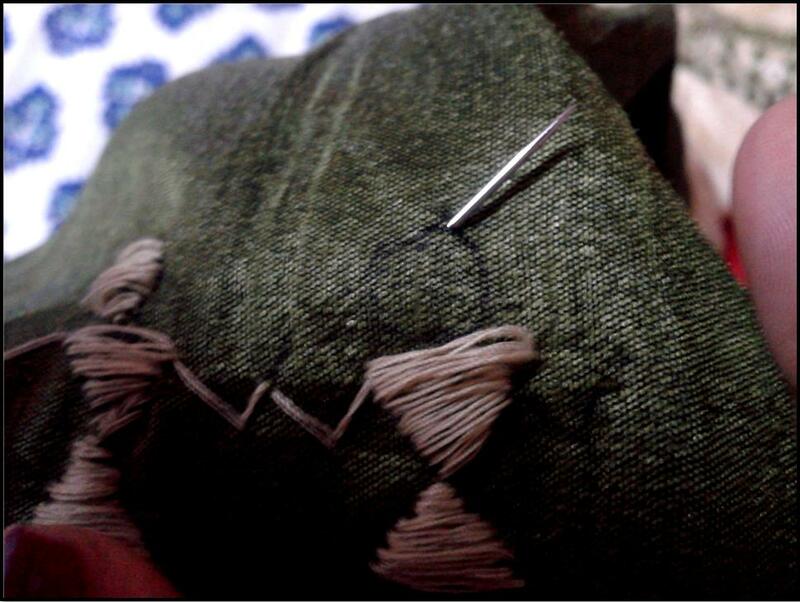 Step 6: Pull the thread completely. Repeat the steps from Step 4 till the whole motif is filled up. Kantha works really well on Indian tunics, Saris and Kurtas. You could also experiment with them by using them on skirts shirts and even t-shirts. As I always say, Fashion is all about letting your imagination go wild.